Last week, we went over some of the bathroom style choices that you could go with when you’re remodeling your bathroom. 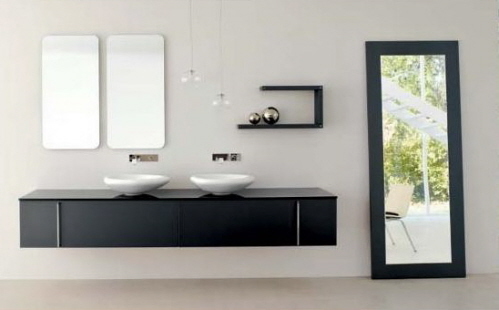 So just like we promised, this week, we’ll talk about the modern design style for your bathroom! Modern bathrooms not only make your bathroom look luxurious and classy, but it will also add elegance to your home as a whole. It will give a spa-like feel that offer you your own personal retreat! While some of these aspects may seem pricey, you might be surprised at how affordable they can be for your modern style bathroom. Also, be careful with the types of material used. You don’t want to mix glass with chrome, or brass with pewter. Keep it matching. It’s amazing exactly what you can do with the budget you have. All you have to do is a little bit of research! For instance: choosing a vessel sink will already upgrade your bathroom countertop from plain to modern! Also talking a look at different showerheads will automatically change the bathroom’s feel. If you need any help remodeling your bathroom, CK Custom Kitchens will be more than happy to help. That’s right, while we’re experts with kitchen renovations on the Outer Banks, we definitely know what we’re doing when it’s time to tackle that out-dated bathroom. Stop by our store today, and please leave a comment down below!